Who: Celine Kiernan, lovely Irish author, writer of the awesome Moorehawke Trilogy , one of Ana’s all time favourites. Give a warm hand to Celine, folks! As the presenter Chris Donoghue mentions quite a few times, my novel Into the Grey won the 2012 CBI Book of the Year and the CBI Childrens Choice (It was the first book ever to have won both awards.) Yippee, I still haven’t stopped grinning! 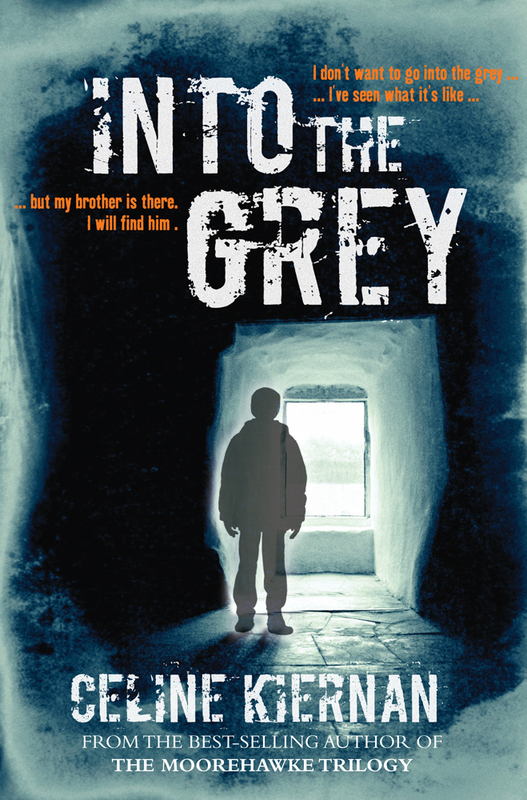 Into the Grey isn’t due to be released in the UK/US until August 2013 but I thought I’d give the smugglers a copy of the Irish edition to give away just to celebrate! Thanks again to the Smugglers for inviting me to celebrate Smugglivus with you this year. Have a great holiday everyone and a peaceful, healthy and happy 2013. You heard the lady! Comment away for a chance to win a copy of Into the Grey. Contest is open to ALL and will run until Saturday January 5 at 11:59 PM (PST). Good luck! Even thou I’m a half century past youth books, I try to read them to keep up and compare (is older better?) would love to read these new series. WAAAAAAAAAAAAAAAAAh Love your Code Name Verity ode, especially as the Booksmugglers put it on your radar in the first place ^^. Also, I really realize how rarely I hear English speaking people (of any accent) at their natural speed these days. I think if the guy hadn’t interrupted you so often I would have enjoyed the reccs even more. Cause you really tried to explain it and I’m very happy you tried your best to finish your sentences! I’m not surprised he doesn’t know about the Bechdel test, heh. Although he did come across as at least somewhat open to reading and to you, I have to give him credit there. YA and books for younger audiences make for some wonderful light reading when I’m not in the mood for something heavy, and often end up having heavier plots than I first expect. Definitely interested in this one. Thanks for the recommendations. I wish the dude had not interrupted you so often – he was trying to clarify before you had finished what you were saying. Some wonderful recommendations, Under My Hat and Wonder especially sound awesome. 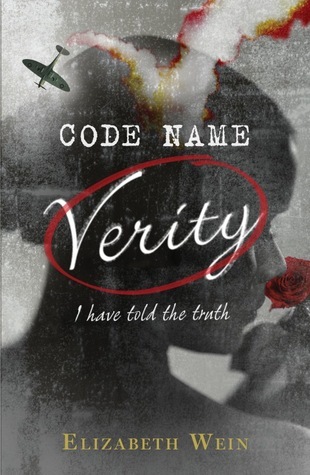 I adored Code Name Verity, it may very well be the best book I read this year. Certainly one of the most affecting. They almost all sounded fun. My book list for the new year keeps getting longer. I often choose YA books (I’m 40!) High quality writing, a great plot and good character development, without the annoyance of ‘Adult themes’ are my priorities. I’m a big fan of Celine’s Moorhawke Trilogy and have added some of her ‘top 5’ to my wish list. I have ‘Under my Hat’ and I’m particularly looking forward to ‘Code Name Verity’. Tbh I think I would rather have listened to Celine talking about her recommendations rather than the interview though! “Wonder” sounds pretty cool. I’m not into issue books either, but a really, really good one would definitely be worth a read. Wonder might be my favorite book written in 2012 — didn’t it just make you want to get up and cheer?? I am constantly giving it to my middle school kids, and they are loving it, too. So glad it was on your list! I want! Gimme! Gimme!! I like to read about everything in books! That looks like such a neat book! It’s hard for me to narrow my favorites down to five. At least with Goodreads, I can know what books I’ve read in the past year easily now. One has to be exceedingly desperate when they rip off jingles for jokes. More books to read, sounds great. I would love to read INTO THE GREY thank you. So many great books I want to read. We’re reading Code Name Verity next month in my book club and I can’t wait. Code Name Verity *loves*. Thanks for the giveaay, and congrats on the awards! If I don’t like a book then I move on too because I have too many books that I want to read. Goodreads is hard, you hate to say anything bad about someones book, but face it some aren’t worth the paper they were printed on. xD can’t wait for the US/UK release. Oooh, I love seeing other countries’ versions of books! Another giveaway! Since my daughter was born I keep buying her my childhood favorite books. Thanks for the recommendations. This book looks great! Can’t wait to read once it comes out in the US. 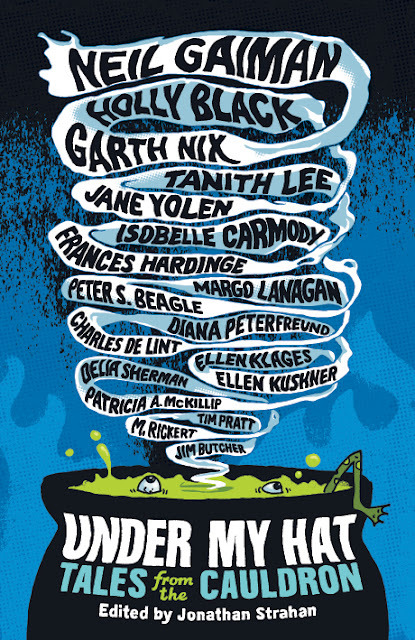 “Under My Hat” has some AWESOME people in it. Definitely adding this one to my TBR list. Isn’t it just “pick the 5 ones” we love better ? Though it can be hard to do if we really like many and can’t say this one is better cause we cry or laugh. But I don’t think I have really 5 books, I truly love this year. But even if it’s this experience I am looking for, it’s still ok if I enjoy a book even if I pick up its flaws. The recommendations were great and have given me some more books to look into! Into the Grey looks interesting to me as well. Thanks for the recommendations!